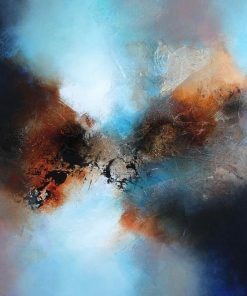 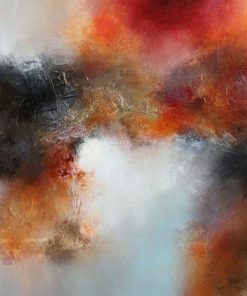 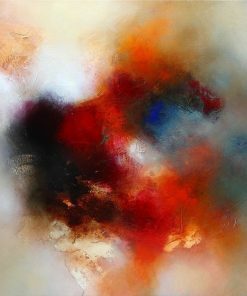 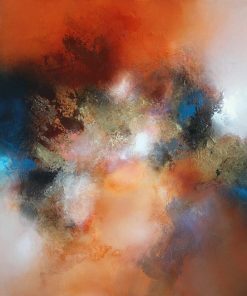 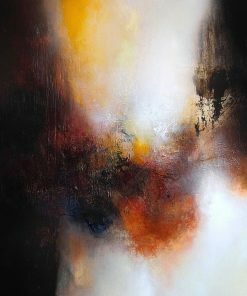 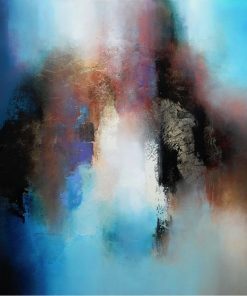 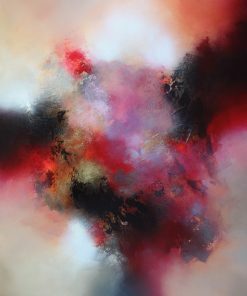 Eelco Maan b1962 is a “lyrical abstract” artist, the term being suggestive of an artist expressing his emotions and perhaps spiritual outlook on the canvas, the works being intelligently and coherently composed according to artistic and aesthetic principles. 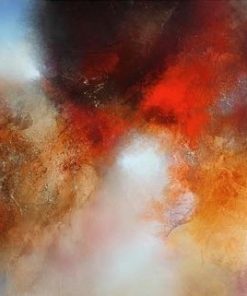 He combines colour and texture in an effortless and spontaneous manner, creating works of the most harmonious and radiant beauty. 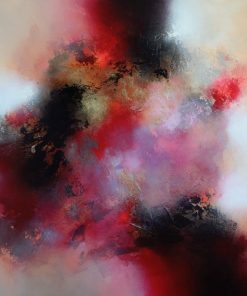 He has been working as a visual artist since 1994, initially experimenting with figurative, Fauvist and surrealistic elements – influenced by Klee, Miró and the CoBrA movement and gradually adopted a more austere and abstract style. 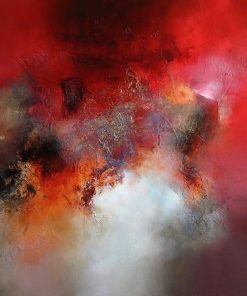 Any ‘Moon-watcher’ (his Dutch name ‘Maan’ means ‘Moon’) might very well recognise his attraction to the craquelure in early medieval art, to the savage Pollock eruptions and the obstinate colour abstractions by Eugène Brands and Willem de Koonig. 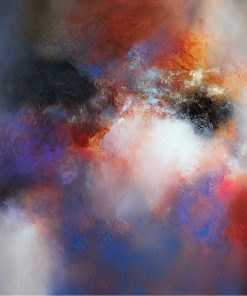 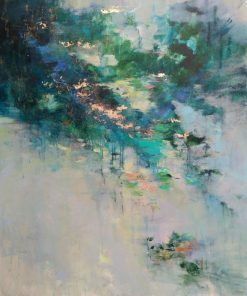 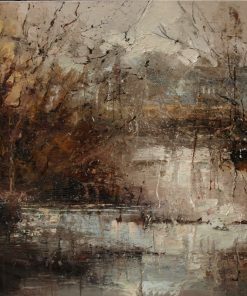 While his works are abstract, we recognise In them very real imagery – sunlight dancing off water or bursting through mist, cloud formations and rich autumnal colours. 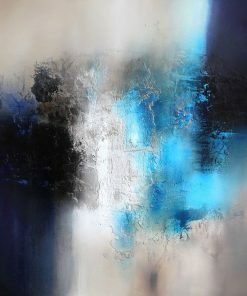 His work represents the lyrical abstract art tradition but with its own merit and a mystical undertone. 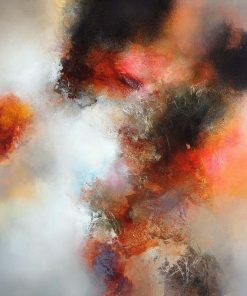 His oeuvre touches ineffably upon works by preceding masters, but always shows a compelling idiosyncratic character, recognisable for its authenticity. 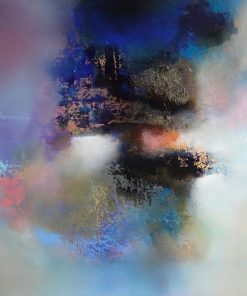 His work has been displayed in galleries and Art fairs in The Netherlands, UK, France and Belgium since 1995, both as a solo exhibitor and in collaboration with other artists.